Robert Samuel Hickman of Swan River, Manitoba passed away on September 24th, 2018 at the age of 73 years. Robert was born to Samuel and Erma Hickman on September 5th, 1945 in Swan River. On March 9th, 1968 Robert married Margaret Evelyn MaGill in Minitonas, Manitoba. Sadly Margaret passed away on November 8th, 2002. 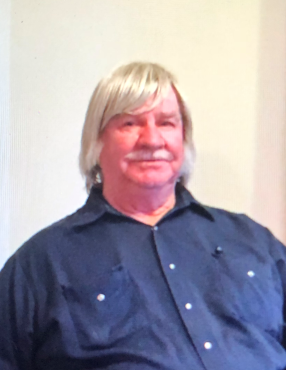 During Roberts life in the Swan Valley he worked as a mechanic, truck driver, equipment operator, Tow Truck owner and operator, gravel truck owner and operator and as an electrician. Robert enjoyed his drives in his convertible, he always had one, as well as he enjoyed coffee and visiting with friends and family. Robert is survived by his children Delbert (Ella) and their children Margaret, Mackenzie and Matthew, Brenda and her children Candice, Colleen, Emily, Erin and David, Heather (Scott) and her children Shanice, Colton and Faith, and son David (Tracy); sister Gwen (Richard); niece Teri and her family; and niece and nephews Joyce, Lynn, Charlotte, Ronalda, Collin, Cory and family; brother-in-law Brian; great grandchildren Bella, Sophie, Curtis and Xander; as well as numerous extended family members and his friends around the valley. Robert was predeceased by his wife Margaret; parents Sam and Erma; brother James; sister-in-law Marcy; parents-in-law; son-in-law Robert and by his special friend Donna.